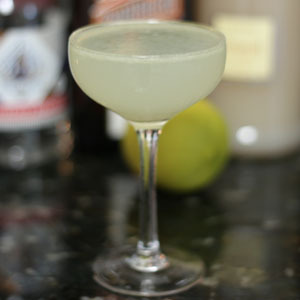 Adapted from Dale DeGroff’s Japanese Cocktail, one of Natacha’s favorites, it is a light and refreshing drink that is both fruity and tart. Shake all ingredients with ice and strain in a chilled cocktail glass. Enjoy!